Each year more and more Americans step up to assume the role of primary caregiver for an adult family member or loved one. In fact, in the past year, nearly 40 million Americans have provided unpaid care. For many, taking on the role of caregiver is necessary for the health and wellness of a senior loved one, but it is not without its challenges. Caregivers are faced with a number of new responsibilities and unfamiliar feelings, including the worry of additional obligations, fear about the future, and compounding stress. As a caregiver, you may feel guilt for not being able to do more or even anger and resentment towards your senior loved one. All of these feelings are valid – and normal. And while it can be emotionally and physically exhausting, there are ways to manage the added stress. The following techniques can assist you with managing and navigating life as a caregiver. Setting aside a few minutes each day to meditate or reflect can greatly lessen feelings of being overwhelmed. Take time to learn meditation techniques, utilize classes, books, DVDs, or online resources to help you learn the best way for you to relax and reflect. You’re busy, but you can only do so many things at once. Research indicates that you’re not as efficient as you may think when you multitask, and it may even harm your health. Understand that at times, you may have to say no. Setting boundaries is critical to managing life as a caregiver. For the responsibilities you do take on, make lists and use a written calendar to manage it all. Among your many responsibilities as a caregiver, it can be easy to overlook those touching, beautiful moments you have with your loved one. Take time to enjoy the special times, and try to laugh every day; it’s good for both you and your loved one’s physical and mental health. Even if you have taken on the role of primary caregiver for your loved one, you can’t do it all alone. It’s not a matter of if you’ll need help from other family members, community resources and senior care providers—it’s a matter of when and how much. Without a support system in place, you will burn out quickly, which will compromise your ability to provide the best possible senior living situation for your loved one. Consider Adult Day Services or other senior living options that offer social engagement for seniors who may have limited access to friends or peers. Amid the stress of caregiving for a senior loved one, it’s easy to forget your own needs. Taking the time to care for yourself, understanding that you can only handle so much, celebrating special moments and seeking support can help you stay strong and confident as you continue managing life as a caregiver. November is National Family Caregiver month, honoring the challenging yet vital role of family members who care for aging loved ones. However, the advice I give to family caregivers is to follow these tips all year, or others that have worked for you, to maintain a healthy balance. 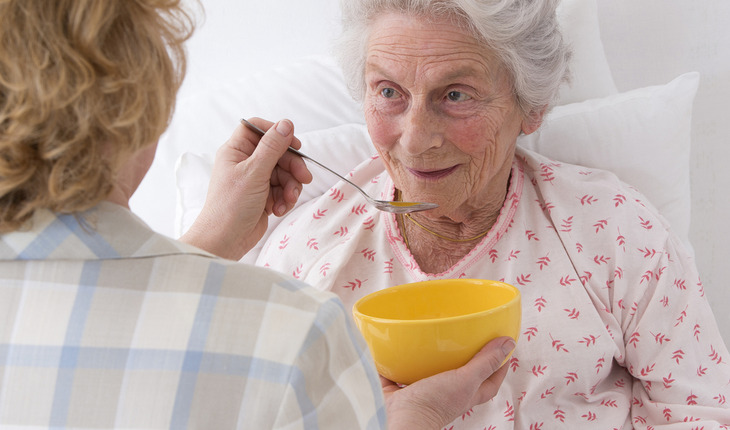 The best caregiver is one is who also able to take care of their own needs too.